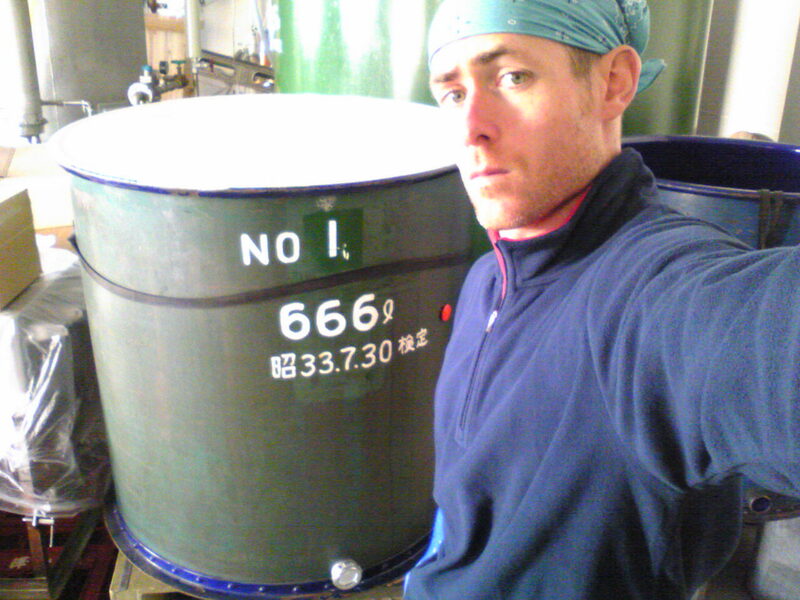 An interesting coincidence, but one of the tanks used for our yeast starter culture has an exact volume of 666 L.
This week, we have started a new batch of sake, a junmaishu (純米酒), with hitogokochi rice milled to 60%. I plan to describe the full process of making sake, with pictures, for this batch. From the 6pm news to a magazine to a newspaper. A minor media stir surrounding my employment in the sake industry. Now all that is left is to learn how to make delicious sake! Two weeks ago, a writer and a photographer from ‘Kura’, a magazine dedicated to Japanese food, sake, and onsens (Hot Springs) in Nagano prefecture and the surrounding area, came to the brewery. 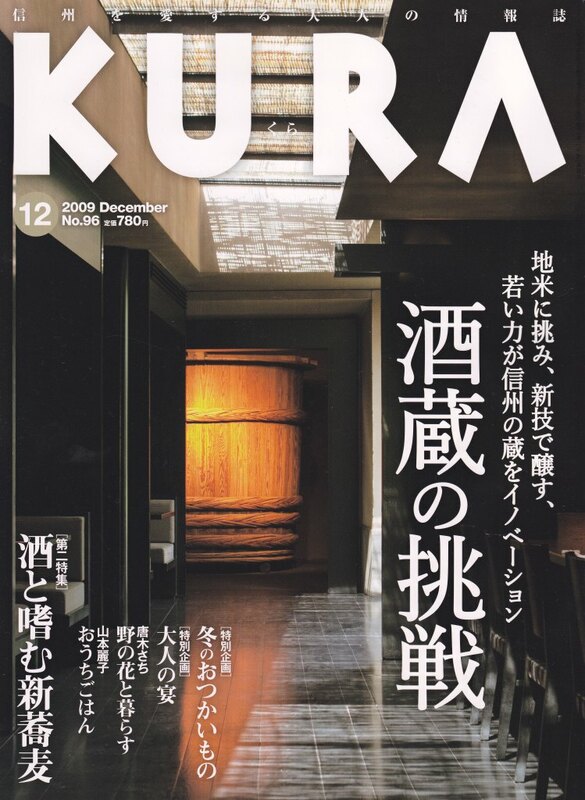 They were doing an article focusing on the people of sake breweries,and particularly those people who differ from the normal perception of kurabito (蔵人) (brewery worker), which is basically old men. Anyway, in addition to our brewery (where they were happy to report about a foreigner working in a sake brewery), there were lots of young men and women working in breweries, trying to give a sake new face. With the growing popularity of wine and other imported alcohol, sake is often seen as a drink for ‘old people’ amongst the young in Japan. 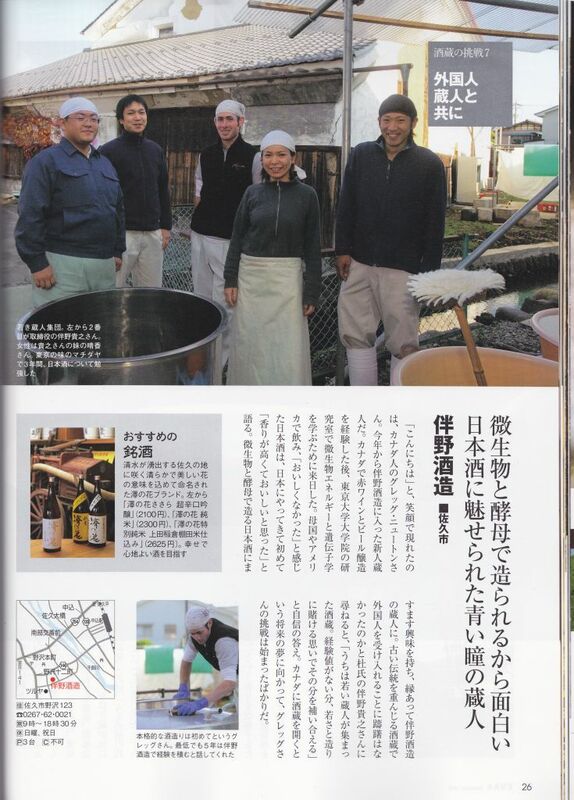 It is also interesting that most people equate wineries with tastings and tours, but not sake breweries. I write this as just yesterday, I saw a trailer for a Japanese re-make of ‘Sideways’. I guess the brewers in Japan have to kick in some funds to come up with their own witty comedy about two guys on bachelor’s weekend tearing up sake country, and taking their good share of hot spring baths along the way- for things to change!